When I took on the role of Executive Officer with Cure 4 Cystic Fibrosis some two and a half years ago, I never realised what an impact this Foundation, and the wonderful people who are fighting for a cure for cystic fibrosis would have on me. Every day I have been inspired by our CF Warriors and their relentless pursuit to be part of a cure for this insidious disease, in spite of facing such great challenges themselves. I have been in awe of the mums, dads, siblings and grandparents who are willing to move mountains, and literally have to do so most of the time, to ensure their loved ones are able to access the best care and treatments. While at the same time doing whatever it takes to ensure the research we support can be further advanced so that one day it may benefit their family. 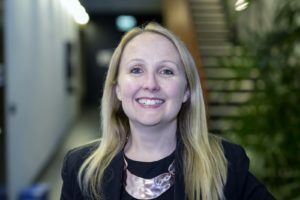 And I have appreciated the opportunity to see the progression of this research being undertaken by world leading scientists, based right here in South Australia, made possible because of the most generous and kind people across the country who share a belief that each and every person deserves to live a life not affected by cystic fibrosis. But, my heart has also broken, as while every day we are moving closer to a cure for CF, we are not moving fast enough, and the lives of some of the most courageous and inspiring people are taken by this disease much too soon. A cure for cystic fibrosis cannot wait, and thankfully, now knowing the ability of the CF community to rally together and fight for a cure, I believe this disease can and will be defeated. I want to thank each and every person who has allowed me to share in your journey toward a cure for CF, for yourself, for your family, and for those of you who may not even know someone living with CF, but understand the devastating impact it has on a person’s quality of life and choose to support a cure. Thank you. Being EO of Cure4CF has never felt like a job, it has always been a privilege and I know that while I may no longer be EO of this amazing Foundation, I will forever be a fighter for a cure for cystic fibrosis, standing alongside each of you and Cure4CF in the trenches making sure this research progresses until we win this war.